A delicious dinner any night of the week. 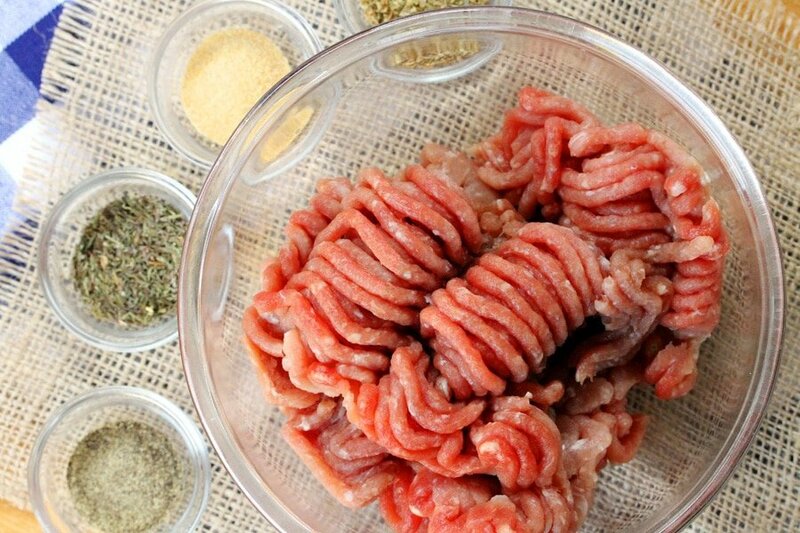 Do you ever see ground pork in the meat case at the grocery store and wonder what to do with it? 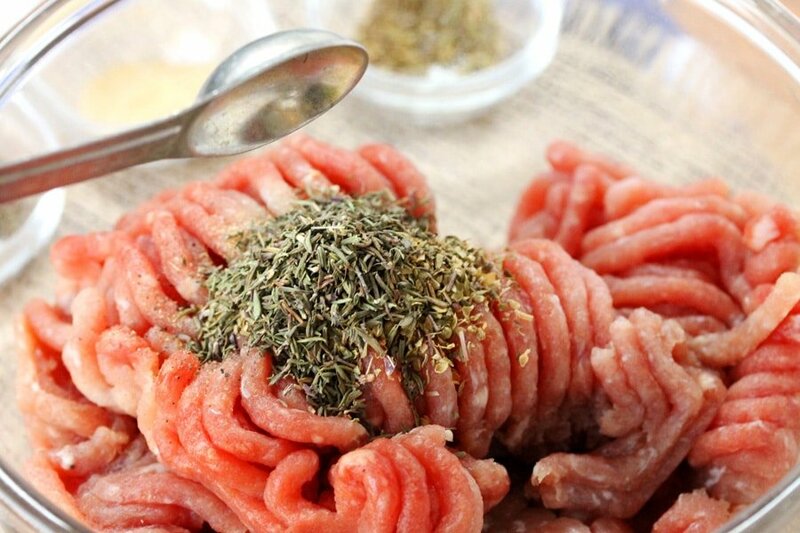 Here’s an idea, make meatballs. 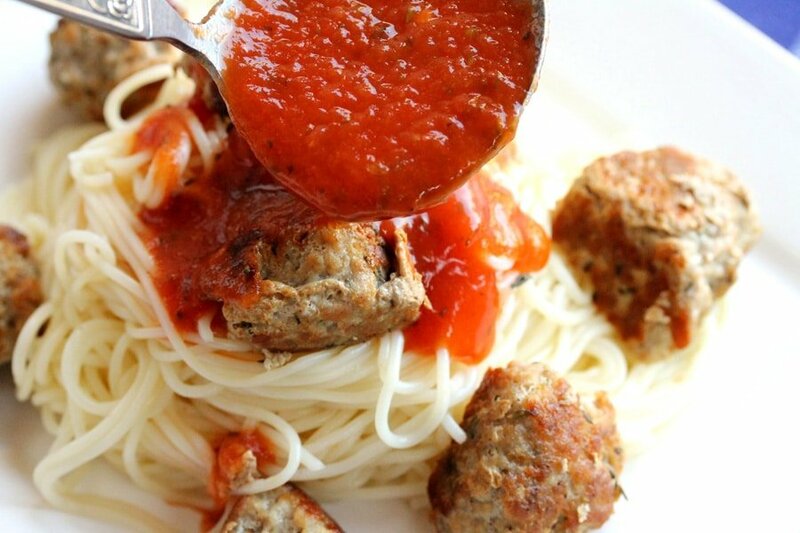 And since meatballs are so good with pasta, make meatballs with spaghetti and a quick and easy homemade marinara wine sauce. 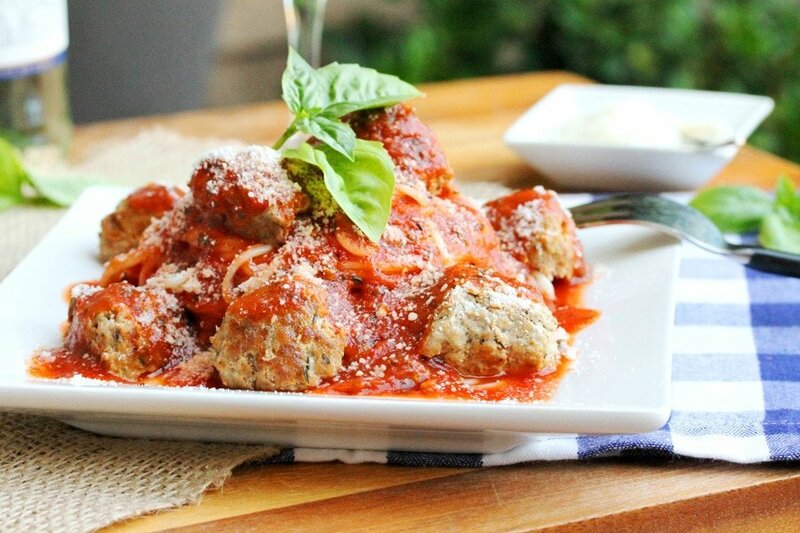 For fun, the meatballs in this recipe are cut in half so there’s more of them on the serving dish to top with the delicious marinara sauce. 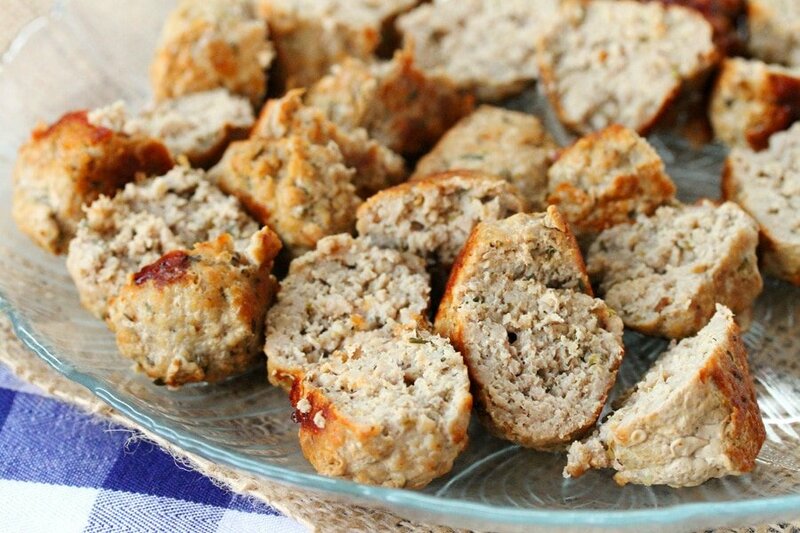 Garlic bread tastes wonderful with this meal…here’s a recipe for garlic bread that’s a cinch to make “Easy Garlic Bread“. 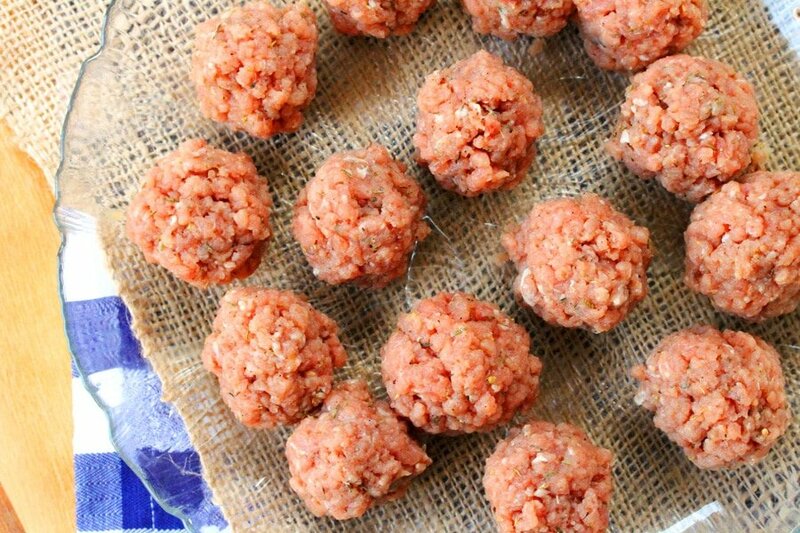 Roll the ground pork mixture into balls that are a little bit smaller than a golf ball. …keep turning them so that each side will brown. 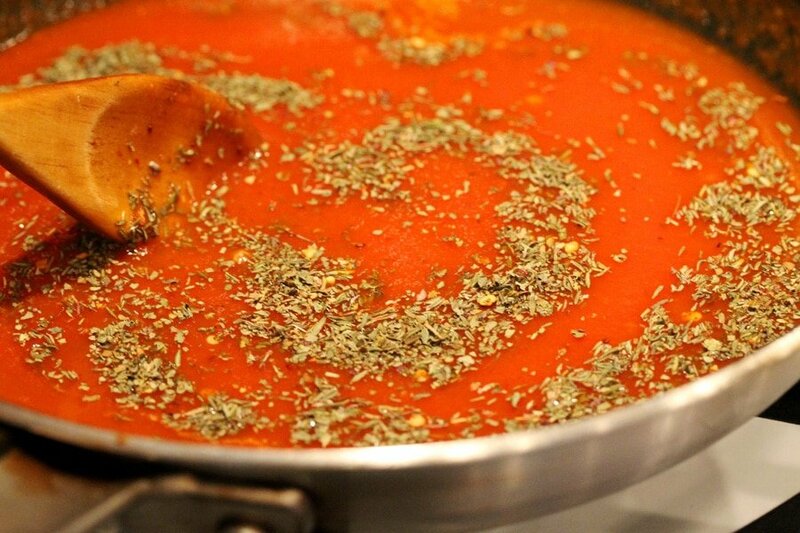 cover the pan with a lid and turn the heat down to low. 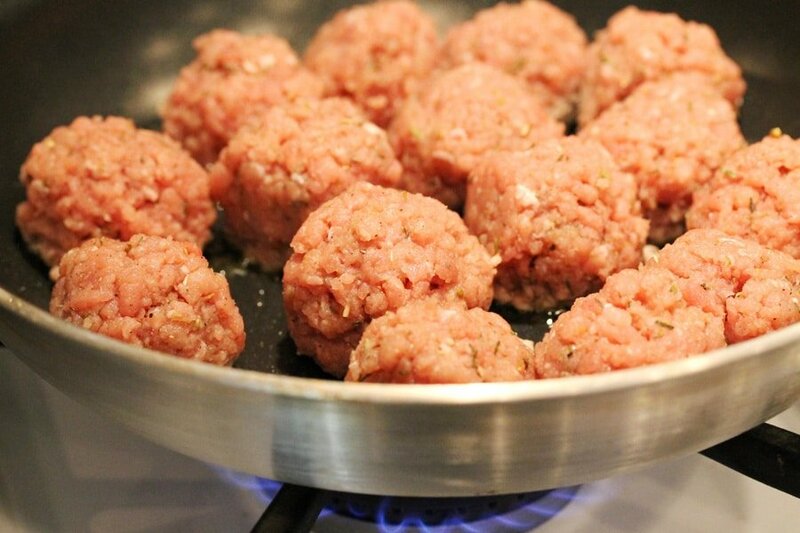 Continue cooking for another 5 to 7 minutes or until the meatballs are completely cooked through. 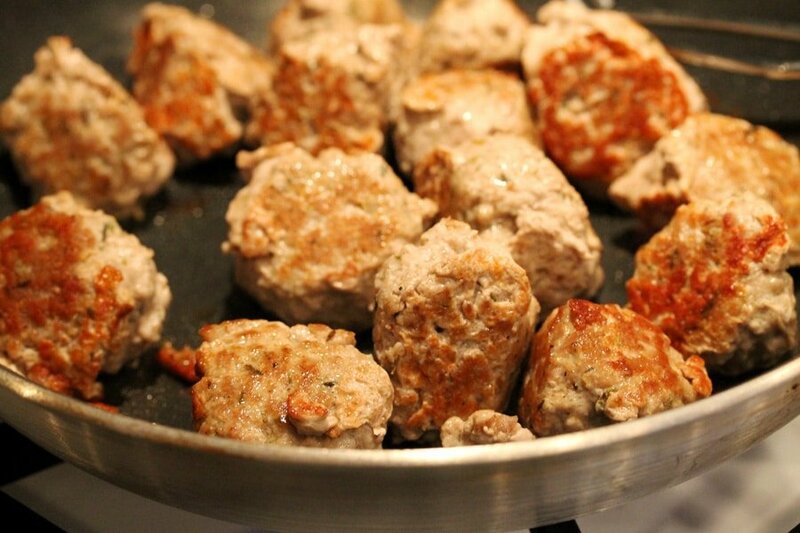 Transfer the meatballs from the skillet on to a plate and set them aside while making the sauce. 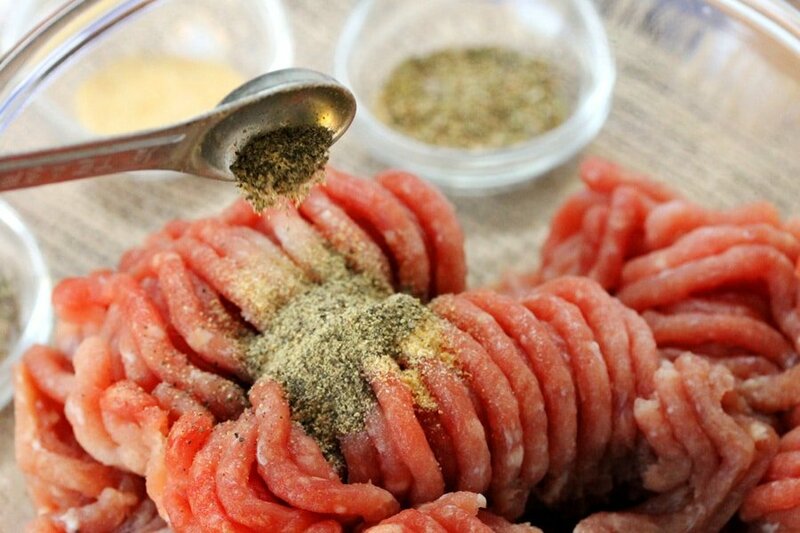 Leave any remaining remnants from the meatballs in the skillet. 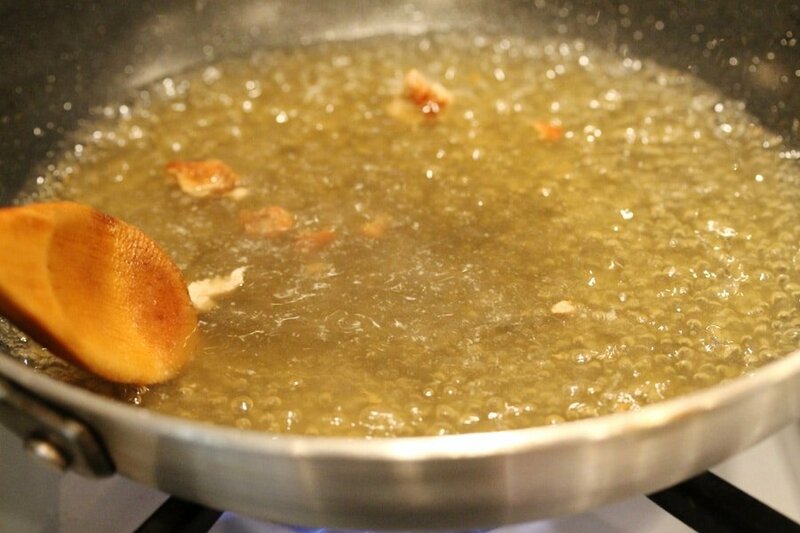 In the same skillet, add white wine and turn the heat back on to medium heat. Continue to stir as the wine reduces (about 5 minutes). 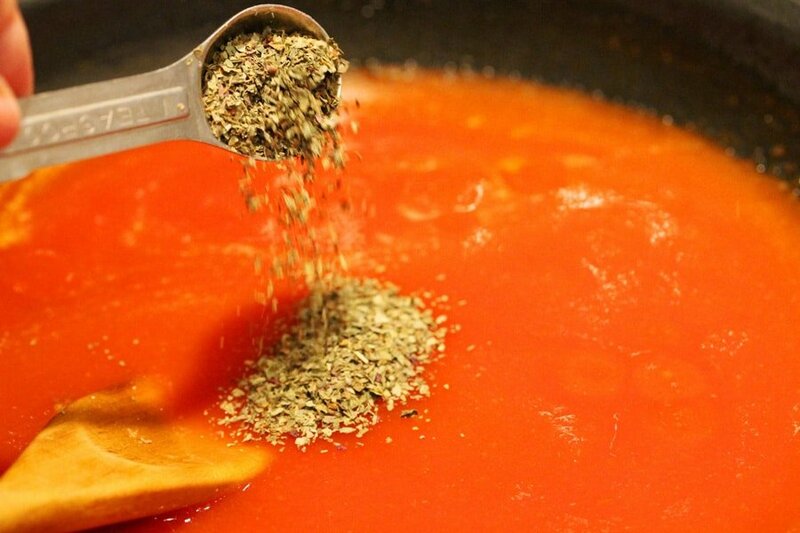 dried red pepper flakes (add a bit more if you prefer more heat), and salt. Stir. 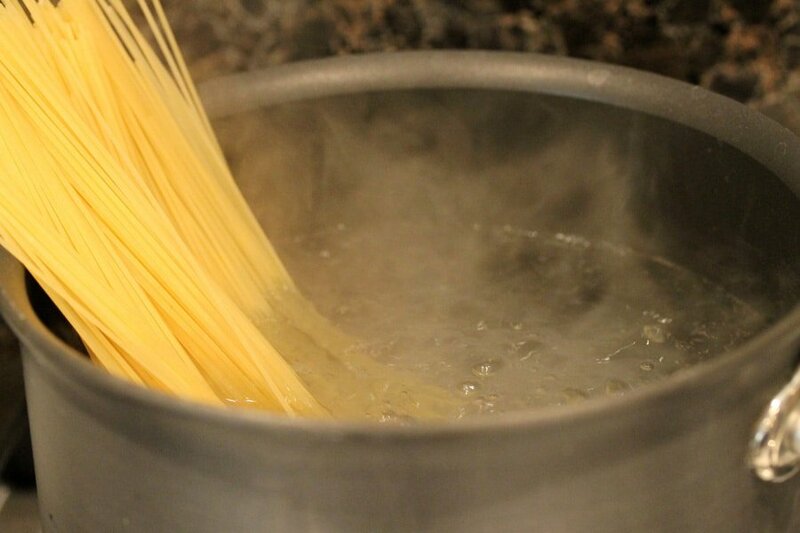 Turn the heat down to low and let simmer (stirring occasionally) while cooking the pasta. 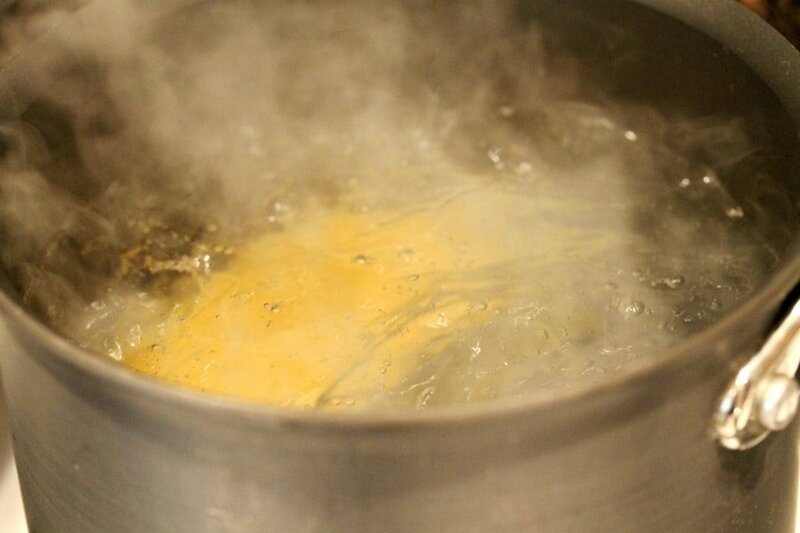 In a medium size pot, add hot water and salt. 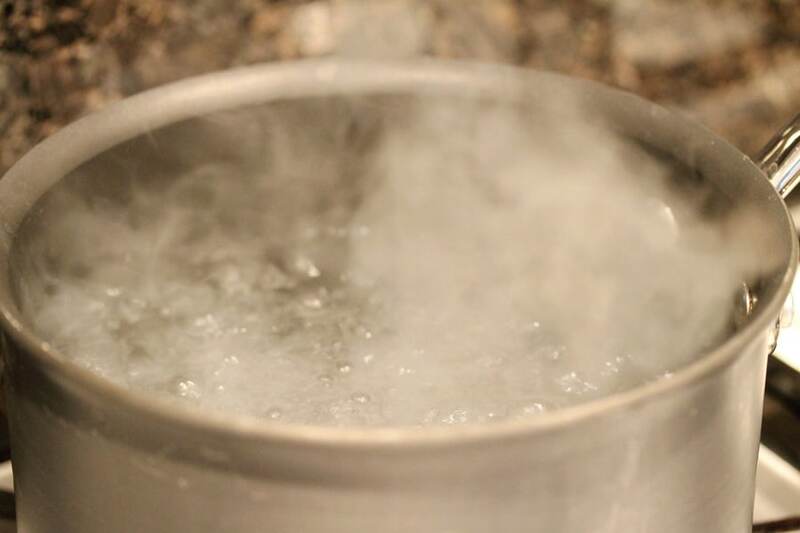 Heat the pan on medium heat and bring the water to a boil. To the pan, add spaghetti pasta. Cook the pasta until its al-dente (according to package instructions). Drain the pasta (don’t rinse the pasta) and set aside. 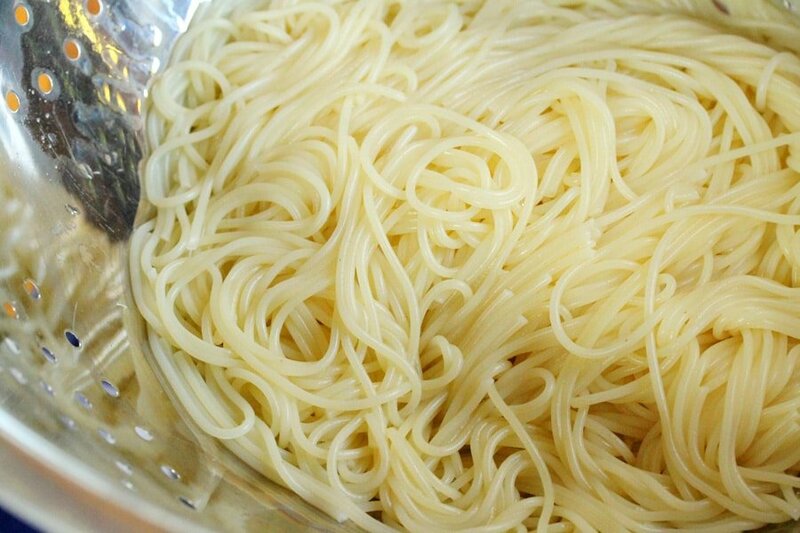 For Serving – To serving dishes, add the cooked spaghetti. 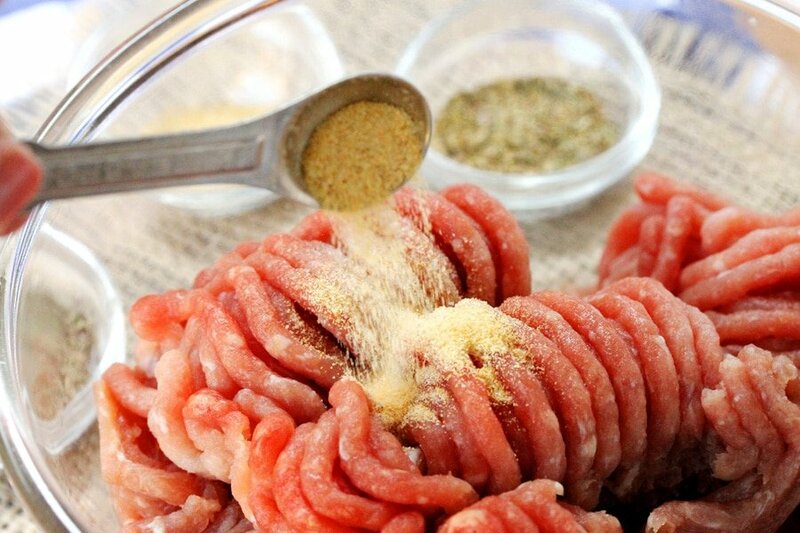 …add them on top and on the sides of the pasta. 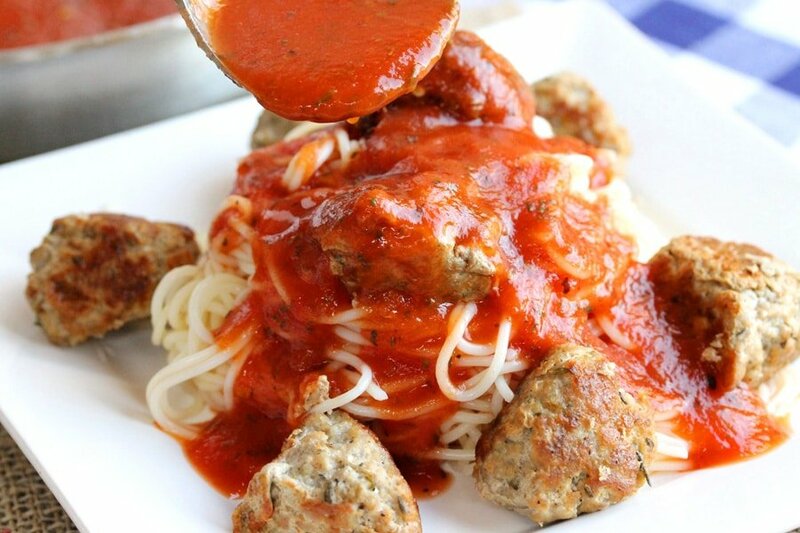 on top of the meatballs and pasta, pour the warm sauce. 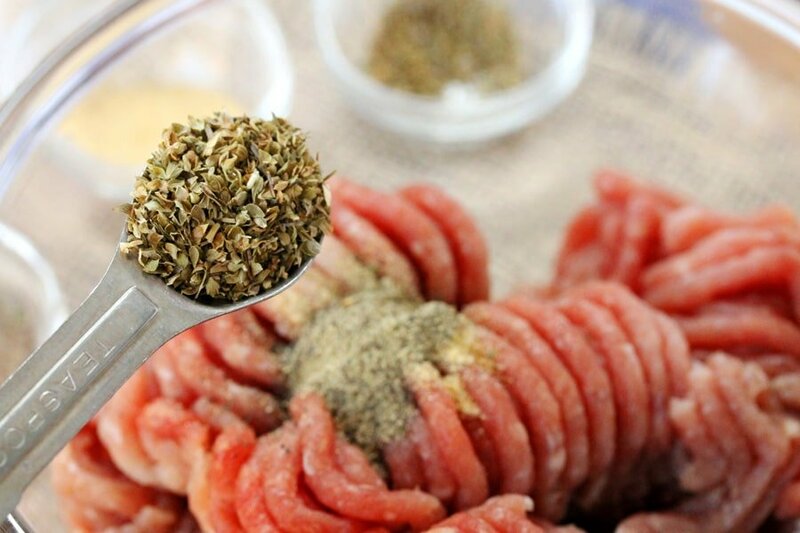 In a medium size bowl add the ground pork, granulated garlic, black pepper, salt, dried oregano and dried thyme. Mix together. 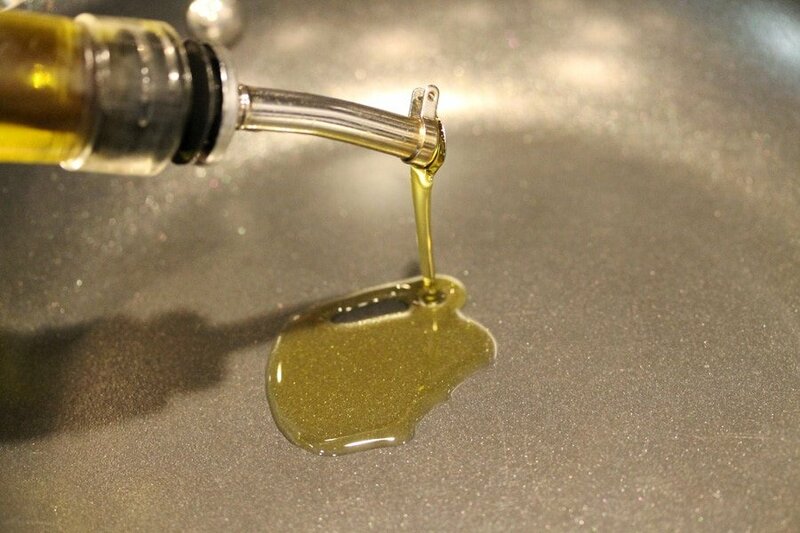 Heat a skillet on medium heat and add the olive oil. 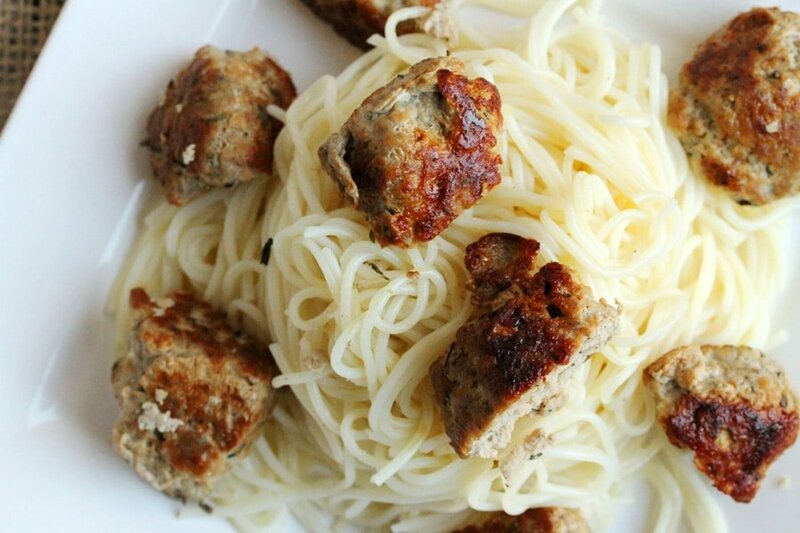 To the skillet, add the meatballs. As they cook, keep turning them so that each side will brown. 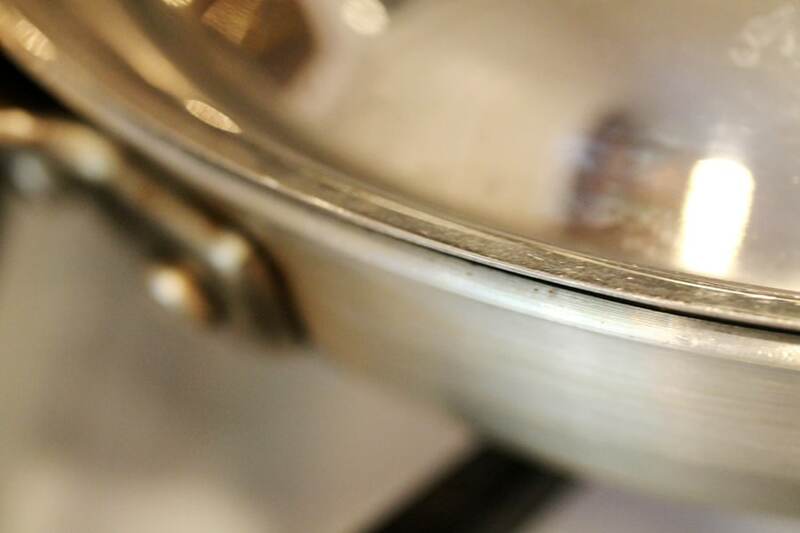 Once each side has browned (about 8 minutes), cover the pan with a lid and turn the heat down to low. 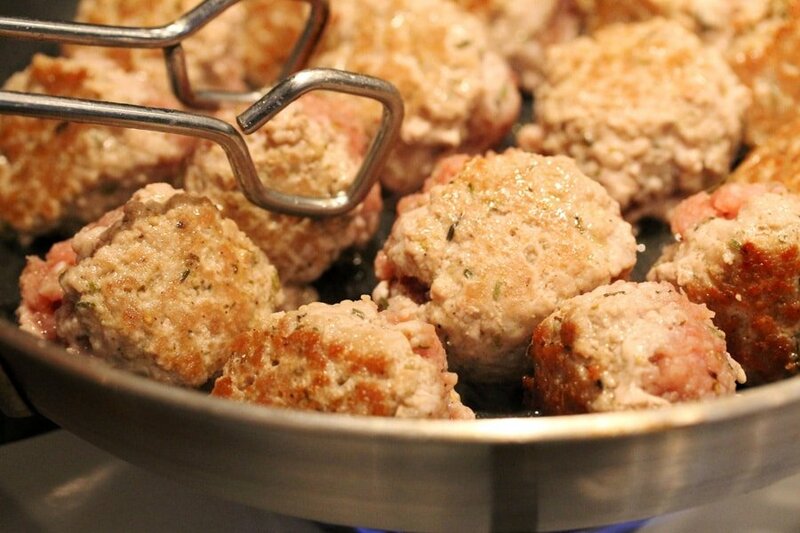 Continue cooking for another 5 to 7 minutes or until the meatballs are completely cooked through. 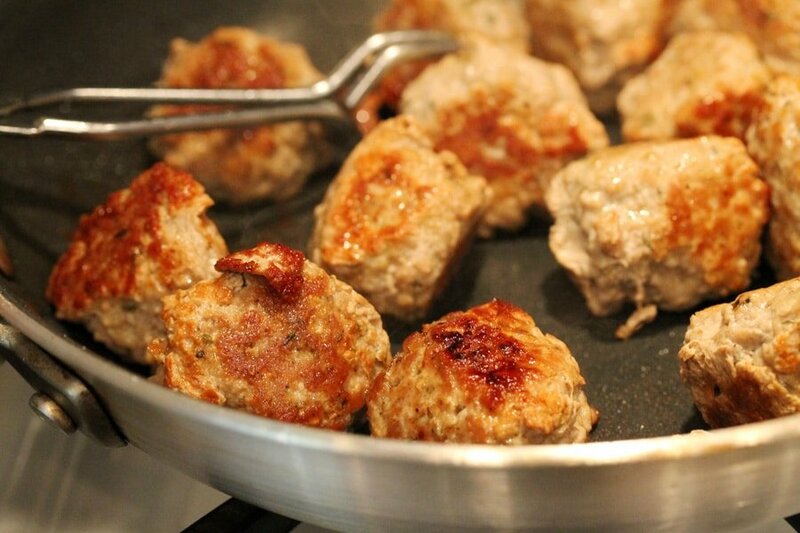 Transfer the meatballs from the skillet to a plate while making the sauce. 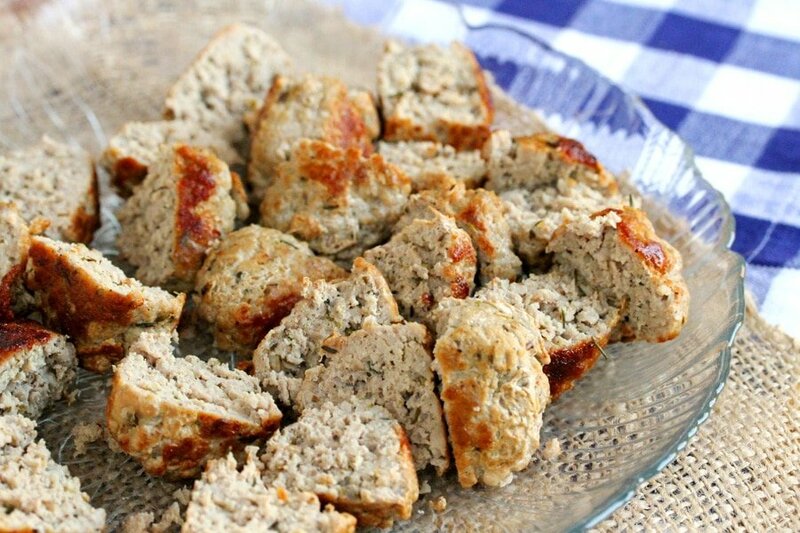 Leave any remaining remnants from the meatballs in the skillet. In the same skillet add the white wine. Heat the skillet on medium heat and continue to stir as the wine reduces (about 5 minutes). 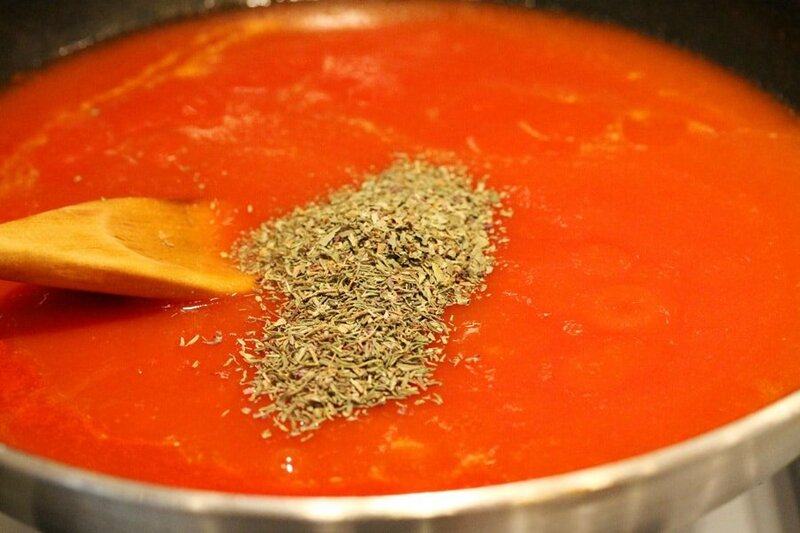 Then to the skillet, add tomato sauce, dried basil, dried thyme, hot red pepper flakes (add a bit more if you prefer more heat), and the salt. Stir. 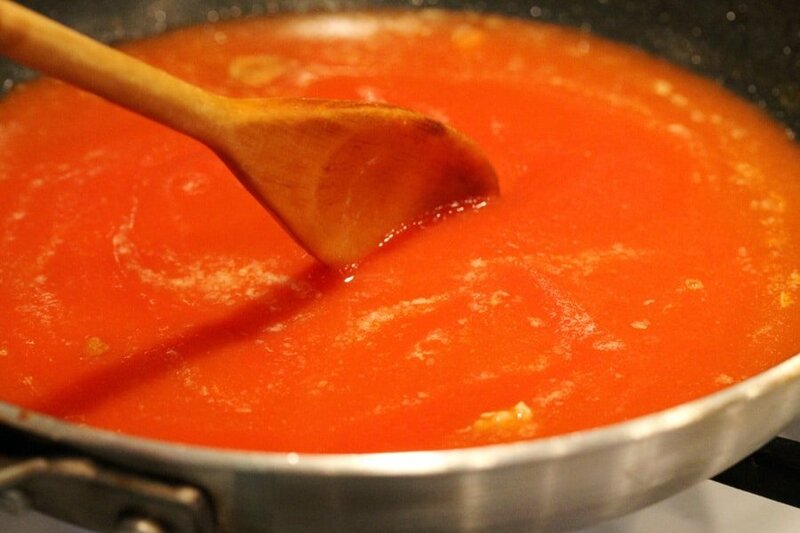 Turn the heat down to low and let the sauce simmer (stirring occasionally) while cooking the pasta. 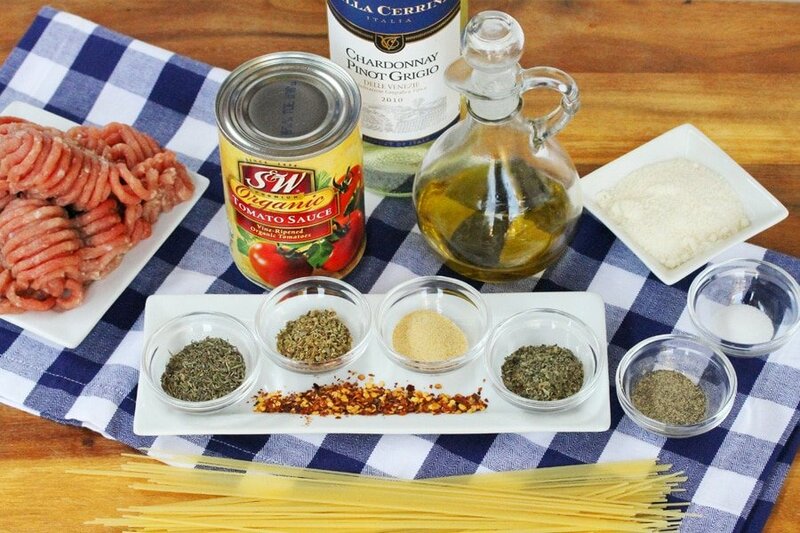 For Serving - To serving dishes, add the spaghetti pasta. 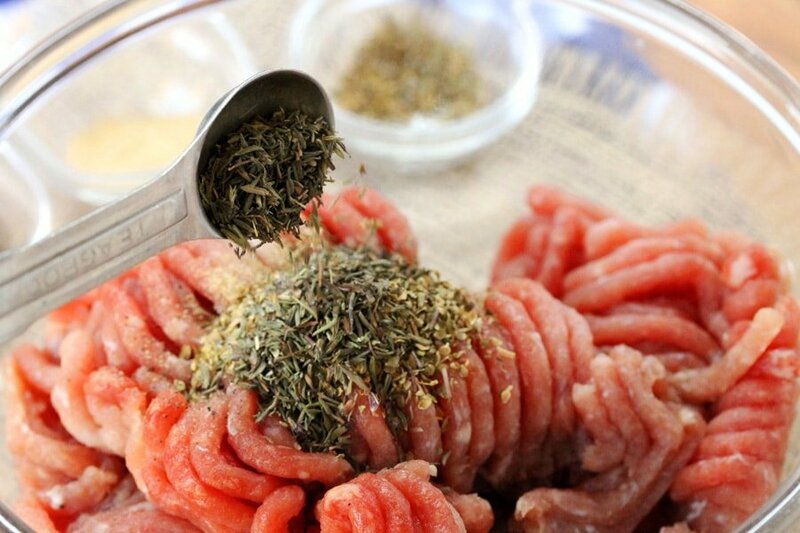 Cut the meatballs in half and add them on top and on the sides of the pasta (cut-sides down). 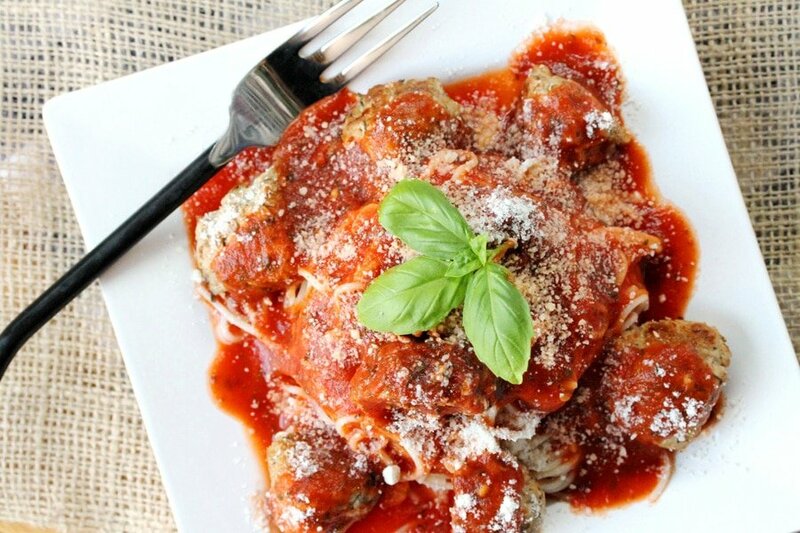 Then pour warm marinara wine sauce and top with parmesan cheese. Serve while warm. Just wanted to say that I’ve made this twice now – with great results! 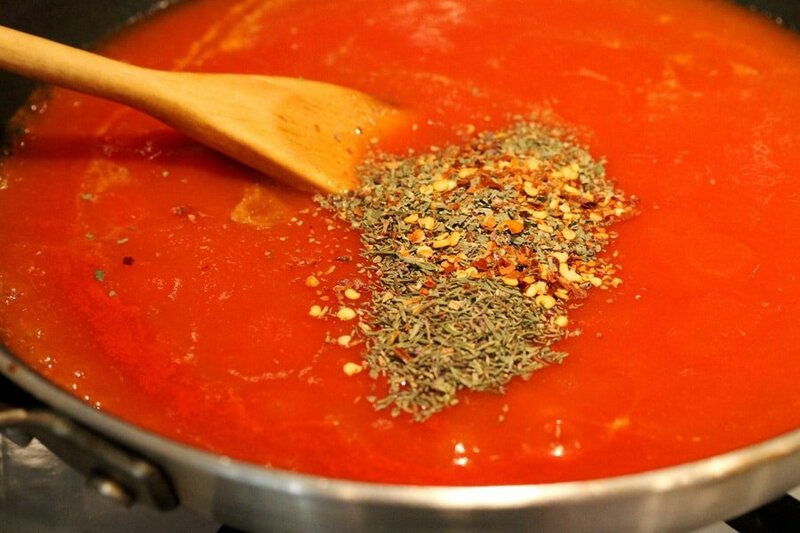 The only slight change is that I use a can of plum tomatoes and add that at the same time as the wine as I reduce it – it adds to the overall flavour. However, excellent recipe. Thanks! Hi Alexandra, I’m so glad you like it. 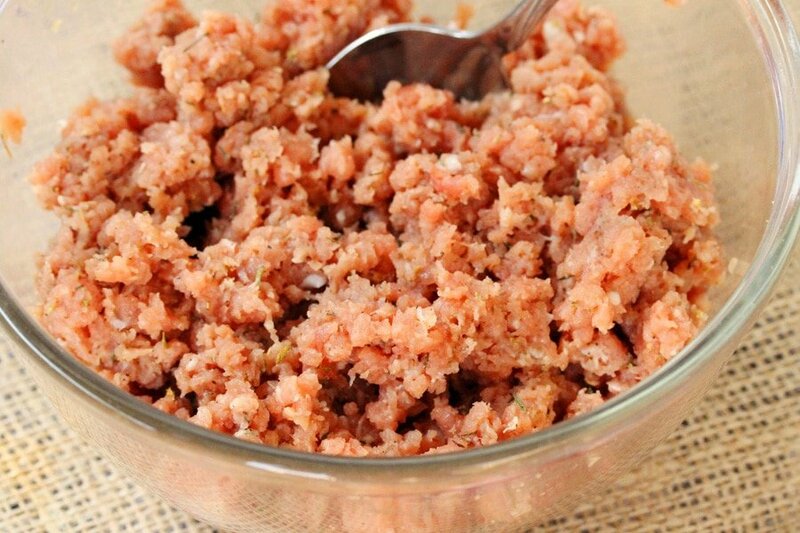 I’ve seen cans of plum tomatoes in the store and thought to myself that I must try using them in recipes. 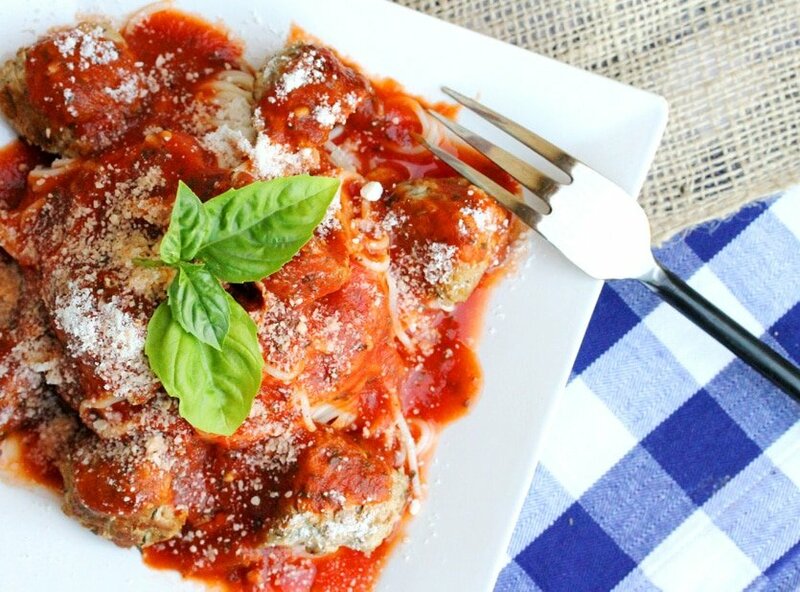 Plum tomatoes have so much flavor…you’ve reminded me that I need to try these. Also, thank you for letting me know about adding the plum tomatoes and wine at the same time…that makes a lot of sense so they reduce together. I’ll be trying that too next. So glad you took the time to comment and let me know. Have a super great weekend! 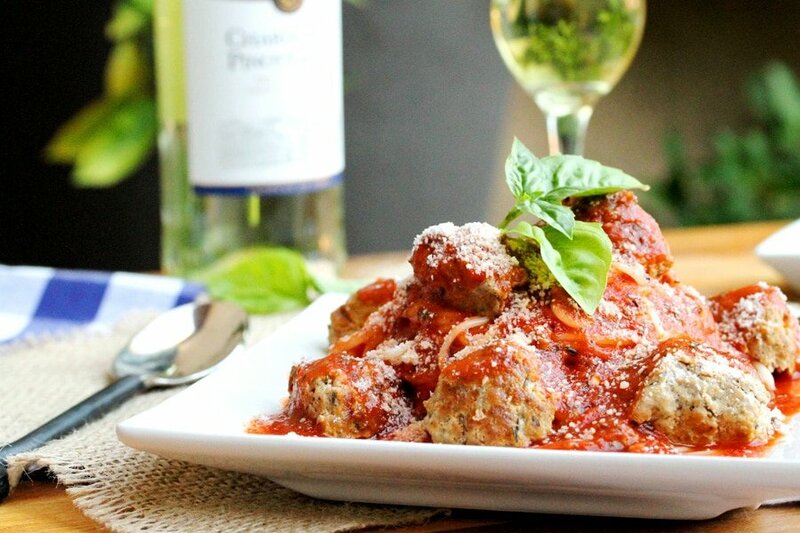 This is our go-to recipe for meatballs now, I’m making them again tonight. 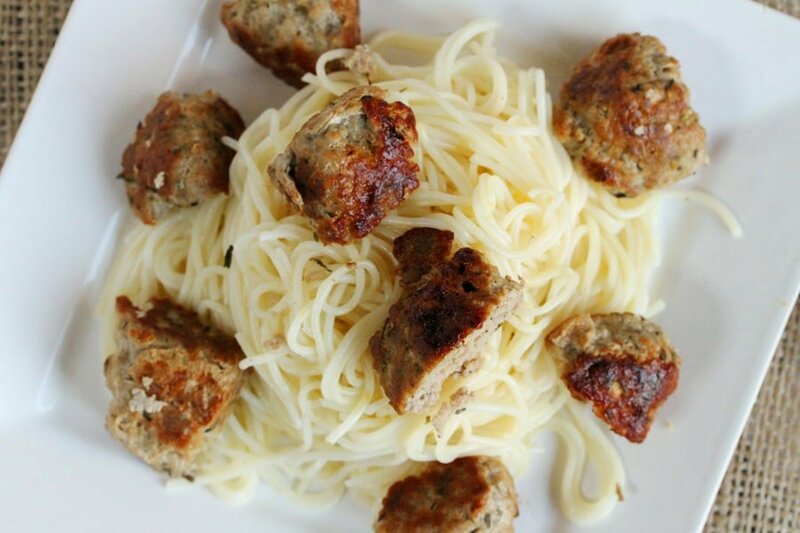 I’ve made this recipe with different a couple different pasta types, and found angel hair is my favorite. I use red wine instead of white (it’s what we keep around), but no other substitutions. They freeze well, too! Hi Christine, I’m so glad you like them. And freezing them is so handy too. Thank you for letting me know and have a nice rest of the weekend! My husband and I made this last night, but used red wine instead of white, and ziti instead of spaghetti. It was great! Thanks! Hi Christine, your version sounds delicious. 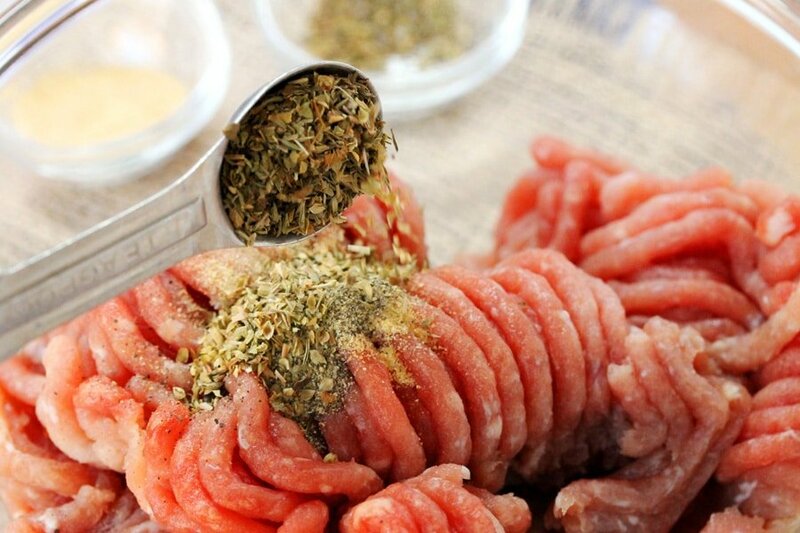 I’m going to try this with ziti next time. Thank you for letting me know and so glad you liked it. Happy New Year!